The Victorian period saw a huge change in people's understanding of science. The chemist Humphrey Davy (1778-1829) made mining safer by inventing a lamp which prevented the gas explosions which bare candles had sometimes caused. Advances were made in the theories of gases, spectrum analysis, astronomy and the cosmos, geology, the age of the earth and the discovery of the ice ages, as well as in the most controversial area of all, evolution. Species in 1859 and it caused an outcry. 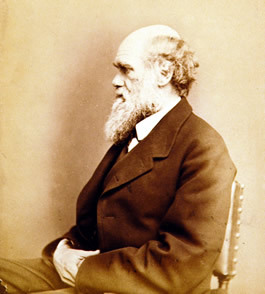 The Town Library has a copy of the book published in 1862 and many other contemporary and modern works about evolution and the relationship between science and religion.